What does the past have to do with the future Antichrist? After all, isn’t the Antichrist a component of end-times prophecy that includes the Rapture; his appearance at the outset of the seven-year Tribulation; defeat at Armageddon by the true Messiah; then thrown into the Lake of Fire? Don’t the predictions about his arrival as found in Daniel 7, 9, and 11; Zechariah 11; II Thessalonians 2; Revelation 11, 13, 16, 17, & 19 apply to the future, by the very definition of that which is prophetic? That definition accurately reflects the dual dynamic of Biblical prophecies: (1) Forthtelling—telling it like it is in the context of blessings for trusting and obeying the Lord and (contrasted to) warnings for distrust and disobedience. (2) Foretelling the future. Scripture contains an abundance of both. Old Testament prophets and John, the prophet of Revelation, certainly prophesied the future, but they also professed and refreshed God’s sovereign plan for the present and past. God is timeless; therefore, the past, present, and future are simultaneous to him. For humanity, time is linear … unfolding one moment to the next. In the context of future tense prophecies, a reminder of the present and past was sometimes included as a backdrop to better understand the full scope of the prophesied event. A more panoramic perspective as it were. Will the Antichrist (logically) be a modern-day man? If so, then no one would know anything about his pre-Antichrist life until he becomes Antichrist. But what if Bible prophecies about this evil man also speak of him in the past tense before he appears on the Tribulation scene? If they do, then he wouldn’t be born in the Omega (final) generation of the last days … The Day of the Lord. 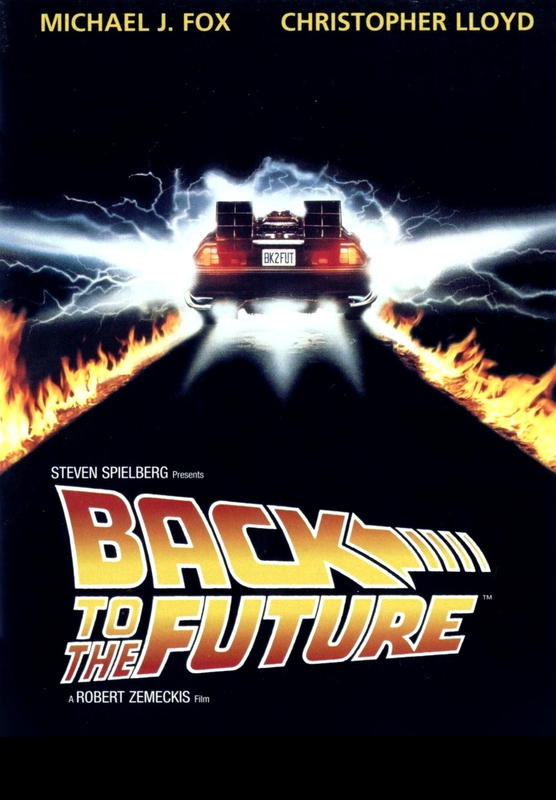 Borrowing the title of the blockbuster movie, fasten your prophetic seat belt as we ride the high-octane vehicle of Biblical prophecy and go Back to the Future. There are only a handful of Biblical prophecies that apply directly to individuals chosen by God in advance for an express reason to accomplish His plans for Israel and all humanity. For example: Samson … to deliver the Israelites from the Philistines; John the Baptist … to prepare the way for the coming Messiah. For a few, the Lord instructed the parent(s) to give the child a name that God had selected, e.g. Ishmael, Isaac, John (the Baptist), and Jesus. God revealed the name of Cyrus to the prophet Isaiah, as the ruler who would issue a decree for the Jews to return from Babylonian captivity and rebuild the Temple (Isaiah 44 & 45). This was some 150 years before the Persian King Cyrus was born and named! By far, the prophets foretold of the Messiah more than any other person, with several titles ascribed to him such as Prince of Peace and Immanuel. Yet, it was not until the angel Gabriel appeared to Mary, when Messiah would be given his Incarnate name of Jesus. It was an awesome announcement that would propel into motion God’s magnificent plan of redemption—the New Covenant prophesied by Jeremiah (Chapter 31). Said Gabriel to Mary: “You will conceive and give birth to a son, and you will name him Jesus. He will be very great and will be called the Son of the Most High. The Lord God will give him the throne of his ancestor David. And he will reign over Israel forever. His Kingdom will never end!” (Luke 1:31-33). Then later to Joseph—who had decided to break his engagement with Mary because of her “unfaithfulness” to him—an angel explained what really had happened and what Joseph must do. “…Joseph, son of David … do not be afraid to take Mary as your wife. For the child within her was conceived by the Holy Spirit. And she will have a son, and you are to name him Jesus, for he will save his people from their sins. All of this occurred to fulfill the Lord’s message through his prophet: ‘Look! The virgin will conceive a child! She will give birth to a son, and they will call him Immanuel, which means God is with us’” (Matthew 1:20-23, quoting Isaiah 7:14). The prophecy of Messiah Jesus given to Joseph relates to God’s plan of redemption—to the Jew first, but also to the Gentiles (Romans 1:16). Concerning Mary, the prediction pertains to Jesus’s rule and reign over the Kingdom of God on earth … fulfilled upon his glorious return. There’s another feature of Messianic predictions fulfilled by Jesus of Nazareth that is unique in the annals of prophecy. At that time, he was the only person prophesied who had a past long before he arrived on the earth as the Messiah. Several passages in Scripture testify to this. We’ll look at just two: one in the Old Testament, one in the New Testament. “But you, O Bethlehem Ephrathah, are only a small village among all the people of Judah. Yet a ruler of Israel will come from you, one whose origins are from the distant past” (Micah 5:2). Then, the Jewish Apostle John tells us that Jesus’s existence stretched beyond even the distant past. Jesus existed with his Father (and the Holy Spirit) before time began. That’s as far back as anyone can be! But, then, Jesus is also God. One other prophesied person in Scripture also has a past (tense). No suspense here, as he (his designation) is identified in the title of this week’s Eye of Prophecy article. It is this past that will enable him to mesmerize billions left behind at the Rapture; to be worshiped as Christ even though he is Anti-Christ. He is also referred to as the little horn (Daniel 7); prince/ruler (Daniel 9); king (Daniel 7, Revelation 17); worthless shepherd (Zechariah 11); man of lawlessness (II Thessalonians 2); the beast (Revelation … all chapters previous cited). Each of these titles relate to specific things this depraved man would do; even more importantly, when he would do them. As Roman Emperor from 54 – 68 A.D; then as the Antichrist beast who returns from the Abyss (Revelation 17) at the commencement of the Great Tribulation. Please see Eye of Prophecy trilogy: A Beast by Any Name…. Posted 3-14, 3-21, & 3-28-15. Those articles provide extensive Biblical and other historical evidence and rationale to show that each of the labels assigned to Antichrist (the most common reference to this evil man) is for a special reason. Not the least of which is to ascertain his identity, which is also to understand that he had a past long before his (short) future will begin again in the (near) future. No secret here either, as my second book, Out of the Abyss along with many of the 54 Eye of Prophecy articles (to date) in the category of Antichrist, document in detail. The Antichrist is none other than the Roman Emperor Nero. The reason for the prevailing presumption (logical and reasonable, but not what the Bible is telling us) that the Antichrist will be a modern-day born man is because we’ve missed this very fact: He has a past. One that was already past tense when the book of Revelation was written! When he comes up out of the Abyss and arrives on the scene at the outset of the Tribulation, it will NOT be his first appearance on earth. However, Nero’s past is nothing like the true Messiah, i.e. from the very beginning of time. Obviously, the appellation of Antichrist (found only in I John) means the exact opposite of Christ. He will claim to be both Messiah and God when he reappears from the Abyss. Just like he declared during his 14-year reign as the fifth Roman Emperor—designating himself as both God and Savior. When, in fact, he is everything that Messiah Jesus isn’t: evil, ruthless, deceitful, ungodly, unholy, lawless, and other characteristics of all that is “anti” Christ. Antichrist is also a term and characteristic that signifies one who will mimic the true Messiah, but in a cruel counterfeit way. In a way that will be allowed by God because that is what/who most people left behind at the Rapture will want. They want a messiah, but not the Messiah. (See Eye of Prophecy article, The World Wants A Messiah … But It Needs (The) Messiah. Published 1-28-17). I, too, was (once) among those mainstream Bible scholars, teachers, and students who subscribed to a modern-day born Antichrist. What or who else could he be? Although I’ve studied Biblical prophecy for several decades, it wasn’t until November 2008 that the Lord gave me some mind boggling insight. 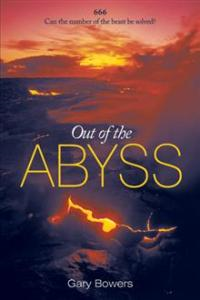 I wrote about the details of this discernment in Out of the Abyss, published February 2011. This disclosure (I call it that because it was a dramatic departure from contemporary conceptions about the Antichrist) was staggering in its implication. On an unforgettable voyage to the ancient Roman world, to the very origin and lair of the beast, to the first-century church, to the Abyss and back again, to the pre-emptive death and eternal destruction of Antichrist, to the mesmerizing visions of John, Daniel, and Zechariah, and to high-level heavenly counsels. Out of the Abyss will expose and declassify that which has been concealed and classified: the secret of the beast presumed to be confidential until the body of Christ is taken from the earth. Bible teachers, students, and commentators who are familiar with the book of Revelation to some extent or another, easily recognize that the first three chapters of Revelation are a present tense record of what John witnessed. 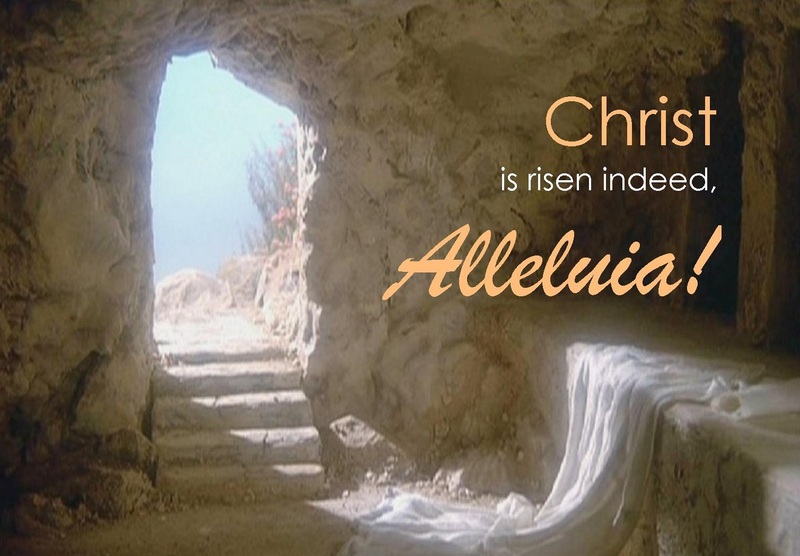 In real-time he saw the majestic risen Christ, who told him what to write to the seven churches—all of which existed at that time in John’s life. However, Revelation Chapter 4 begins with: “…Come up here, and I will show you what must happen after this.” Instantly, John was taken to heaven “in the Spirit” (Revelation 4:1-2). Without doubt, nearly all of what John heard and saw thereafter would take place in the future, which is still our (soon to come) future nearly 2,000 years later. Please see Eye of Prophecy article, End of the World Events … In Chronological Order! (Posted 2-25-17). Also, Stunning Catastrophes of the Tribulation / Their Timing and Purpose (11-14-17). But not everything that John saw from then on was exclusively future. As previously indicated, some Biblical predictions include past and present conditions for clearer context and better comprehension of what was to come. 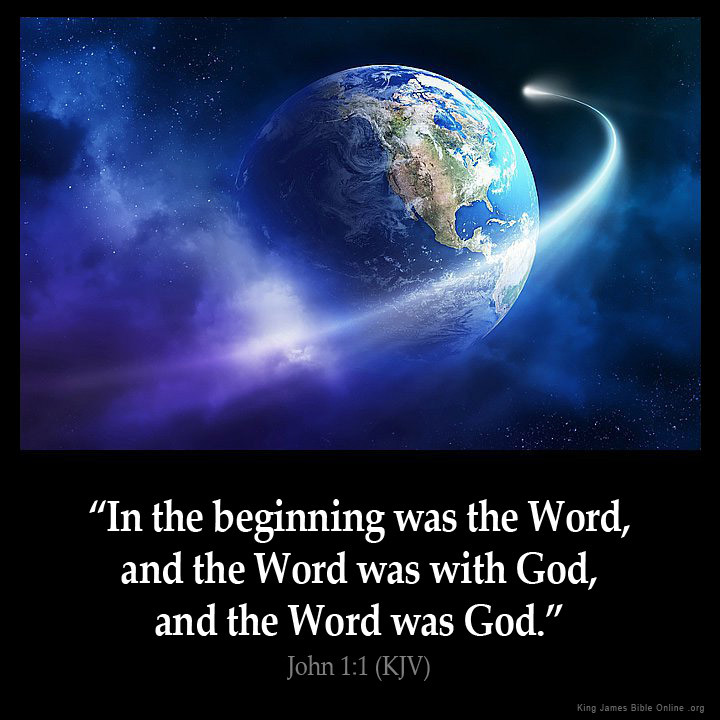 For example, Revelation 12:1: John states, “Then I witnessed in heaven an event of great significance…” Yet, the first part of what he saw included images that represented what had already taken place, i.e. out of Israel the birth of the Jewish Messiah just a few decades earlier; also, Satan and one-third of the angels cast out of heaven (in ancient times). Please refer to Eye of Prophecy article, A Mysterious Sign in Virgo … What Does It Mean? (9-13-17). Which among other things, examines Revelation 12 in more detail. Another partly past tense passage is Revelation Chapter 18, which describes the astonishing annihilation of Babylon (Rome). As a build-up to this future catastrophe, much of the chapter depicts Rome’s notorious past and present, which obviously included the 1st century in which Revelation was written … when the Roman Empire was arguably at its peak. But also, a back to the future panorama of Rome (the woman) morphing from a secular empire to a religious one. Summarized by: “For her sins are piled as high as heaven, and God remembers her evil deeds” (Revelation 18:5). Three of a few Eye of Prophecy articles on that subject are: Shameful Saga of the Great City (Revelation 17); Cunning Makeover of the Great City (Revelation 17); Humiliating End of the Great City (Revelation 17). Posted 5-26, 6-2, & 6-9-18, as a trilogy. A little later, we’ll examine the past tense verses of Revelation 17, which will help refine and even revise the otherwise reasonable assumption that the Antichrist must be a modern-day born man. We need to wrap our minds around another highly significant feature of Revelation. One that is obvious, but one that we tend to neglect (not think about) because everything from Revelation 4 onward is viewed from the perspective of being exclusively future. We need to remember that John saw all these visions in the PRESENT TENSE; on the Isle of Patmos on the Lord’s Day—Sunday. Most of what John sees concerns the (still future) Day of the Lord, particularly what will take place during the Great Tribulation and thereafter. If the present tense reality of John’s visions is overlooked, then it’s easy to forget that some of what he sees has already happened. This is especially true for Revelation 17 after his 2nd observation of the beast; the angel does something different after this vision. He tells John, “…I will tell you the mystery of this woman and of the beast with seven heads and ten horns on which she sits” (Revelation 17:7). The main reason that the angel called John’s second vision of the beast a mystery (this time with a woman sitting on the beast) is because the beast, in fact, was past tense—in addition to the future tense of the Antichrist during the Tribulation. Unless the angel had explained the reality of the beast’s past, we wouldn’t be able to accurately identify the beast and his origin (which the angel challenges us to do in Revelation 13:18 and again in Revelation 17:9). From books, articles and commentaries I’ve read, and messages heard about the Antichrist beast, Revelation 13 is the passage referred to and discussed most often. In and of itself, there’s obviously nothing wrong with this. However, a problem arises when we don’t carefully correlate Revelation 13 with ALL other passages on the Antichrist, especially Revelation 17. Then, to compare these Scriptural references to first century church and secular history. Especially that of the Roman Empire and the Caesars—the seven heads of Revelation 13 & 17 who are seven kings just as Revelation 17 says they are. That and three misapplications that many (including myself in the past) mistakenly make in Revelation 13. The primary premise is that Antichrist will attract a world-wide following because he is a political, economic, and military genius. Yet, that conclusion is reached via a circular argument. Which is: he must be a genius (no one else could do what he will do) because he’s able to galvanize global allegiance to himself. But that is not how Scripture profiles him nor the Biblical reason why so many will follow him. In Daniel 7 & 11 and Revelation 13, we are told that he is a tyrant who comes out with both barrels blazing blasphemies against God. For example, neither Adolph Hitler nor Antiochus Epiphanes IV (the Biblical prototype forerunner of Antichrist … Daniel 11) were considered genius as such. Both were cunning and charismatically compelling because of their oratory and boasting, but they weren’t necessarily brilliant. 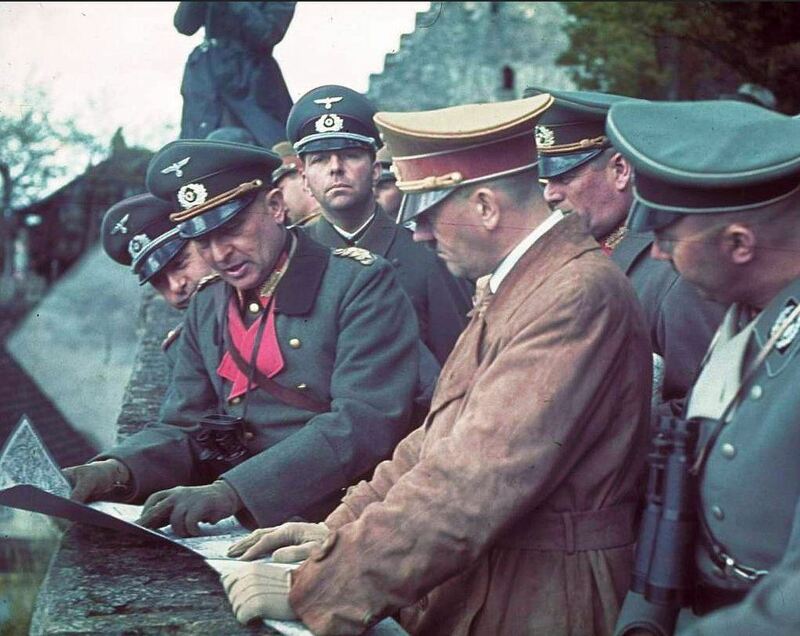 Hitler not only ill-advisedly assumed direct logistical command of the Third Reich armed forces, he made several strategic blunders to the dismay of some authentically intelligent German generals. However, nowhere in Scripture do we find a direct or even indirect description of the Antichrist as a great orator, a consummate politician, a brilliant military strategist, or even a charismatic leader. A despotic boastful blasphemer of God, yes. In fact, the subsequent miracles that will compel many to take the mark of the beast or his name on their forehead or right hand will be performed by the False Prophet, not Antichrist (Revelation 13:11-16). It’s also quite evident in that passage that the False Prophet does most of the speaking for the beast. There is one and only one reason (will be considered a miracle) that billions left behind at the Rapture will worship the Antichrist. I’ve commented on this in some prior articles and in Out of the Abyss. The reason is plainly stated: “I saw that one of the heads of the beast seemed wounded beyond recovery—but the fatal wound was healed! The whole world marveled at this miracle and gave allegiance to the beast. They worshiped the dragon (Satan) for giving the beast such power, and they also worshiped the beast. ‘Who is as great as the beast?’ they exclaimed. ‘Who is able to fight against him?’” (Revelation 13:3-4). How can anyone (those who may want to oppose the beast) fight or kill someone who has already been killed and come back to life?! Not three days after he was died, but 2,000 years later! There is no other reason given for this sudden world-wide devotion to a man many will believe is both God and Messiah. Or at least a messiah who will usher in a utopia. The prevalent presumption is that Antichrist will be killed during (most say half-way through) the Tribulation, then come back to life. Again, this stems from portrayal of the Antichrist as contemporary man born a few decades before the Rapture will take place. First, a reminder that it is Jesus, himself, who kills the man of lawlessness. Only the Apostle Paul refers to him by that term. Expressing it another way: Jesus did not kill the beast; he killed the man of lawlessness. Although the man of lawlessness and the beast are one and the same (Nero), this is not a contradiction. Why … because the Holy Spirit, through Paul, is telling us when the beast would be killed. The beast would be killed by Christ while the beast was the man of lawlessness, before he reappeared as the beast! As the beast, Nero will be cast into the Lake of Fire, alive. (Note: Lake of Fire is fulfillment of the second part of II Thessalonians 2:8). According to the prevailing view, the Antichrist is murdered like millions of people have been murdered in the course of history. Many scholars speculate that he is killed at the hand(s) of a Jew, or maybe a member of Antichrist’s inner circle, or whomever. This same impression maintains that when he comes back from the dead, Antichrist is completely possessed by Satan, displays his true colors, begins his blasphemy against God, and leads the world to total destruction. Again, I repeat: It’s the Lord who slays this man of lawlessness. And again, I would ask: What reason would the Lord have in killing Antichrist at this point, or any point in the beast’s tribulation reign? Why wouldn’t the beast simply be allowed to run his seven-year antichrist course? 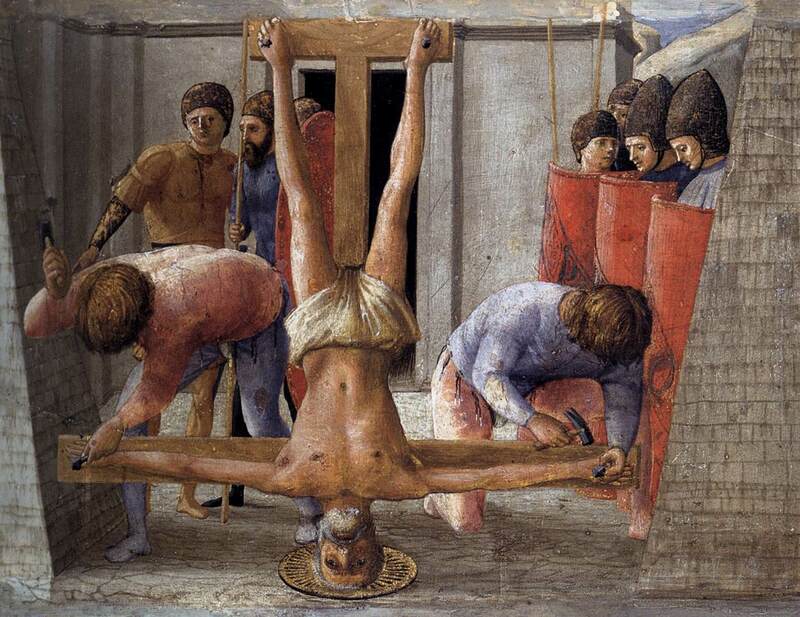 …Of equal significance: If, in fact, a modern-day Antichrist is murdered during the seven-year tribulation, why would Jesus imprison him in the Abyss? Why wouldn’t the man follow the path of all the unsaved before him and travel to hell? (Page 206). The Lord hadn’t revealed to Paul that the man of lawlessness would later be called Antichrist and beast. Those labels came after Paul died. In Out of the Abyss and a couple of Eye of Prophecy articles, I explain why Jesus killed the man of lawlessness (Nero) before John’s visions even took place. Time/space does not permit elaboration in this week’s article. In Revelation 13, John sees (first vision of the beast) the beast rising from the sea, which is where the Abyss is located. The very next thing he observes is the deadly wound that had been healed, which generated world-wide awe. He says nothing about the beast being killed during the vision (meaning during the Tribulation). When John first saw the beast, its deadly wound had already been healed. I’m convinced that if the beast was killed after he (re)appeared on the Tribulation scene, the Lord would have revealed this to John. Just like John describes the world’s reaction of glee over the death of the two witnesses (Revelation 11); he certainly would have seen and recorded the world mourning over the beast’s death. If that is, the beast dies during the Tribulation—which he won’t. The sequence of events in Revelation 13 and the compelling rationale presented above makes for a strong argument that the beast is not killed during his Tribulation tenure. However, Revelation 17 provides a stronger case, one that complements Chapter 13 and greatly enhances our understanding that the beast died long before he reappears shortly after the Rapture. Indeed, one that is watertight and makes any deductive reasoning that the beast will not be killed during the era of the Tribulation a moot point. We’ll get to Revelation 17 in a moment. This conjecture is tendered despite the crystal-clear statement of the angel to John, which was more in the form of a stimulating challenge … albeit one that required a healthy dose of wisdom. “Wisdom is needed here. Let the one with understanding solve the meaning of the number of the beast, for it is the number of a man. His number is 666 (six hundred and sixty-six)” (Revelation 13:18, parenthesis mine). As found in other translations, it reads (as directly from the Greek): six hundred, sixty-six. Which is the key to solving the number of the beast. If first century Christians and all believers right up to the Rapture were not meant to know the identity of the Antichrist, then the angel would have made this clear to John. If his identity couldn’t or shouldn’t be known until after the Rapture, then why urge the early Church and subsequent believers to exercise wisdom and find out? Why even mention the number of the beast, let alone stipulating that it could be solved? Soon after the Rapture, everyone would know anyway. Thus, we are meant to understand the essentials of Revelation, INCLUDING the identity of the Antichrist beast. In Revelation 13, the specific criterion was the number of the beast. It just so happens that Nero’s name matches Hebrew gematria (that’s how Jews counted back then) of Nero’s name in Greek—the language of which the New Testament is written. And, as indicated, there are other persuasive passages in Scripture to match Nero to the ruler prophesied by Daniel, the man of lawlessness described by Paul, and certainly the beast of Revelation—whose (Tribulation) future is intricately linked to his past tense existence in a back to the future phenomenon. Now let’s look at the passage that rocked my understanding, one that prompted a refitting of the prophetic puzzle concerning the Antichrist and a handful of other prophecies. However, with my restated respectful acknowledgment of other prophecy scholars who have skillfully and accurately assembled most of the prophetic puzzle; but not all pieces—including those pertaining to Antichrist. Not what he will do upon his reappearance, for that is understood by most students of prophecy. Rather, who he is. AND, who he was. John had just witnessed his (2nd) vision of the beast, along with the first introduction to the woman. Once again of paramount importance: we need to realize that John’s vision is over … ended. He’s already seen the beast and (this time) the angel tells John not to be so amazed, because the mystery of the beast (and the woman) would be explained to him. “Why are you so amazed? the angel asked. I will tell you the mystery of this woman and of the beast with seven heads and ten horns on which she sits. The beast you saw was once alive but isn’t now. And yet he will soon (abruptly, at any time) come up out of the bottomless pit (Abyss) and go to eternal destruction. And the people who belong to this world, whose names were not written in the Book of Life before the world was made, will be amazed at the reappearance of this beast who had died” (Revelation 17:7-8, italics for emphasis, parenthesis mine). Please read again just the first set of italicized words, then I’ll ask you a couple of easy questions. Question: When is the now of the verse? If you’ve never thought about it before, now you know the obvious answer. The now is right then and there at that precise point in time in the first-century A.D. The wording is unambiguous and the meaning irrefutable: The beast had already lived and died! Once alive but isn’t now. The life and death of the beast also had to be in the first century, not long before John saw the visions recorded in Revelation. Which is confirmed by more of the mystery unveiled by the angel. To wit: “This calls for a mind with understanding (same challenge as in Revelation 13): The seven heads of the beast represent the seven hills (of Rome) where the woman rules. They also represent seven kings (a totally different Greek word than kingdoms). Five kings have already fallen (died), the sixth now reigns (at that very time when John saw the vision), and the seventh is yet to come, but his reign will be brief (all seven kings were Roman Emperors). The scarlet beast that was, but is no longer (more validation that the beast is past tense), is the eighth king. He is like (Greek word is ek, meaning of, out of, from, one of, like) the other seven…” (Revelation 17:9-10, parenthesis mine for additional commentary). What had John witnessed? 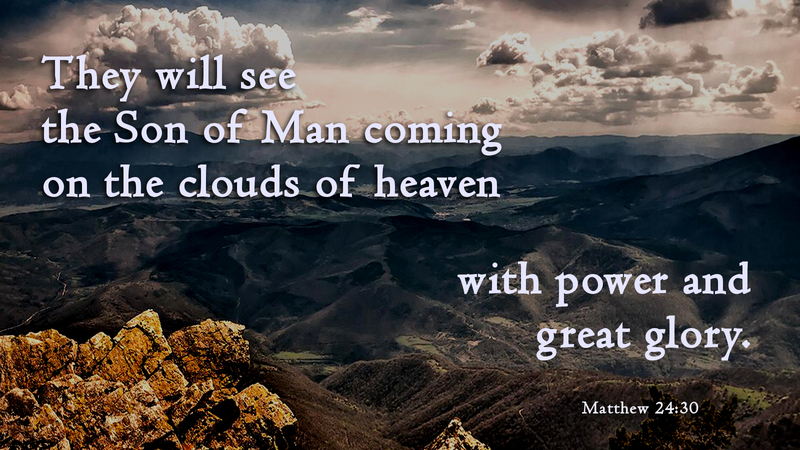 Answer: He had prophetically witnessed the same thing those left-behind at the Rapture will see and be utterly amazed at (still in the future … beginning of the Tribulation). What will amaze them? Answer: the reappearance of this beast (Antichrist) who had (already) died. Or, as phrased in Revelation 13: they will marvel at the miracle of the beast whose fatal wound had been healed. It is a back to the future spectacle that will mesmerize the world’s attention and capture their loyalty like no other since the resurrection of the true Messiah, Jesus of Nazareth. Once a secret is revealed, it is no longer a secret. When the angel explained the mystery of John’s second vision of the beast, it would clarify and confirm John’s first vision; the beast was one of the seven heads, also the composite beast (man) as a whole. Also, to dispel any doubt as to when the fatal wound was inflicted. The solved mystery would provide insight to the very origin of the beast—one that also corroborates Daniel’s disclosure that the little horn (Antichrist) comes directly from the fourth Gentile Kingdom—the Roman Empire. Not from a (7th kingdom) Revived Roman Empire, because there is no such empire identified in Scripture. I repeat for emphasis: no such kingdom because there are only four Gentile kingdoms designated by Daniel—known to be Babylon, Persia, Greece, and Rome. 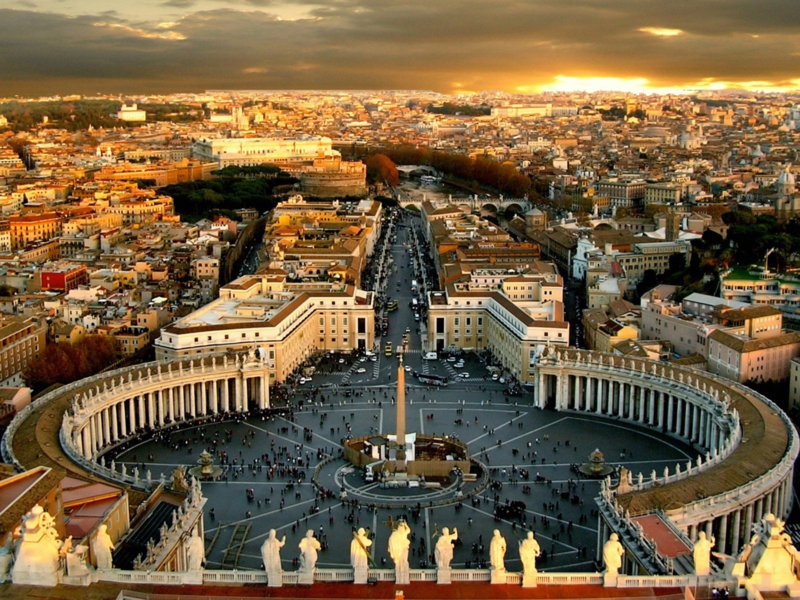 The kings of Revelation are just that: kings … seven Roman Caesars. Of which Nero was one of the five who had died before John saw him in the symbolic form of a beast. The ten kingdoms are those that belong to the ten kings in existence during the Tribulation; they will yield their kingdoms to the beast who reappears from the Abyss. Thus, the past tense (seven heads) and future tense (ten horns) unveiling of the mystery. The beast had already died before John received this revelation. How else can this passage be understood? Is there any other way to see or read this verse? If some can’t let go of a contemporary Antichrist, then what will they do with this verse … and all the other passages that help refit the prophetic puzzle? John didn’t see the vision in the future; he saw it in the present—that hour of that day. The beast is past tense … no longer alive when John saw the vision. The beast isn’t born and doesn’t die in the future; he’s already dead. When will the beast become future tense? Correct: When he reappears from the Abyss. At the beginning of the Tribulation, the world will be amazed at the reappearance of the beast who had died. Will the beast die during the Tribulation? No, he died even before John saw him from Patmos (Page 271). As said before, I believe that the longer-term purpose and benefit of identifying (correctly) the Antichrist is for those who will have missed the Rapture. That some left behind will quickly realize the awesome accuracy of God’s Word the Bible. That there will be some unbelievers who will not be so amazed at the reappearance of the beast who had died long ago. Just like John’s amazement ended when the angel revealed to him the mystery of the beast’s and woman’s identity, without naming names to protect believers in the first century from even more Roman retaliation. The names are: Nero and Rome, the beast and the woman, respectively. Also, for believers and unbelievers alive now. For those of us whose loved ones still have not decided to believe and receive Messiah Jesus as personal Savior. With love and concern, we eagerly want them to make that decision, NOW. So, they don’t have to experience the horror of the Great Tribulation. But if they are left behind, perhaps they won’t be so amazed at this evil man when he abruptly reappears from the Abyss. Instead, they will choose the true Messiah, Jesus … even on pain of death. Now that will be truly amazing!